India has ratified two International Labour Organisation Conventions on child labour, that is, the Minimum Age Convention (1973) and the Worst Forms of Child Labour Convention (1999). Elimination of child labour is one of the key goals to be achieved by the country by 2030 as part of the Sustainable Development Goals. Ministry of Railways has launched the ‘Retro-Fitment’ program to refurbish coaches with better amenities and aesthetics like LED lights, bio-toilets, fire and smoke detection system etc. 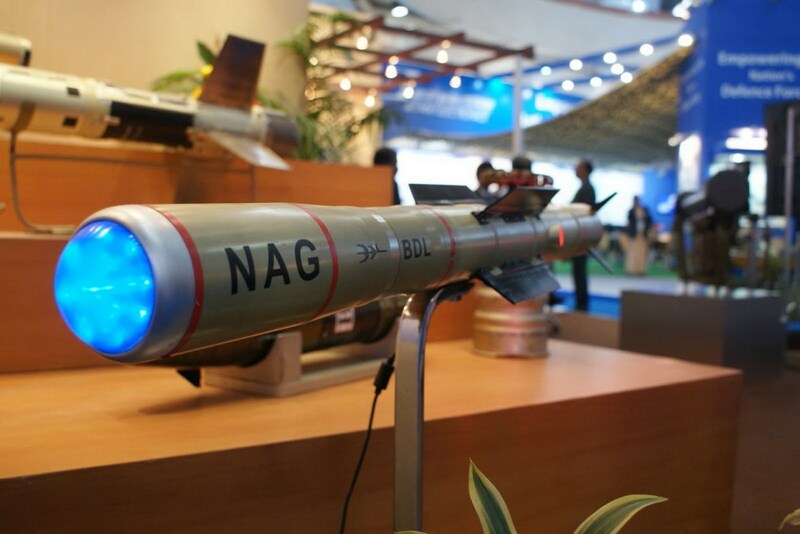 The Defence Research and Development Organisation has successfully test fired anti-tank ‘Nag’ missile in Rajasthan. The missile is part of the integrated guided missile development programme that includes 4 other missiles, namely, Agni, Akash, Trishul and Prithvi. Reserve Bank of India’s Internal Advisory Committee has identified 12 bank accounts that total nearly 25% of the gross bad loans for immediate action under the Insolvency and Bankruptcy Code, 2016. Government of Telangana has launched the PashuBazar website (pashubazar.telangana.gov.in) that acts as a platform for sale and purchase of cattle. Sikkim’s government has inked an MoU with the British Council to enhance the quality of education available in the state’s schools. The Insurance Regulatory and Development Authority of India (IRDAI) has taken over the management and administration of Sahara India Life Insurance with K. Sharma (general manager of IRDAI) as the administrator. The Insurance company is part of the Sahara Pariwar Group led by Subrata Roy. National Thermal Power Corporation has started India’s first 150 kWp canal top solar PV system on cooling water channel at the Mouda Thermal Power Project near Nagpur, Maharashtra. NASA has posthumously honoured Michael A’Hearn, a leading comet scientist, with the Exceptional Public Service Medal. Telecom company Verizon has completed the acquisition of Yahoo’s core business for $4.48 billion. Verizon plans to combine Yahoo with AOL under its Oath venture, that is, Verizon’s Media and Telematics organisation. The part of Yahoo that has not been acquired shall change its name to Altaba Inc.
Indian Cricket team captain Virat Kohli has been ranked the No. 1 ODI batsman in the world, displacing South African cricketer AB de Villiers. The No. 1 ranked bowler is Josh Hazelwood from Australia. 1. Which missile is NOT a part of the integrated guided missile development programme of DRDO? 2. Which country shall hold the presidency of G-7 in 2018? Which State has launched the Pashubazar website for cattle sale? 4. Where is Mouda Thermal Power Project located? 5. Who is the ‘administrator’ of Sahara India Life Insurance? 6. Which company has acquired Yahoo’s core business? 7. Who is the current No. 1 ODI batsman?